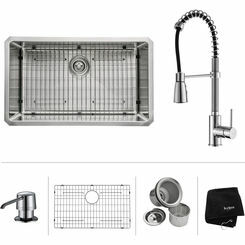 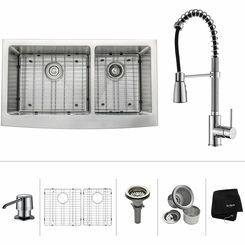 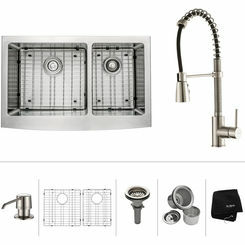 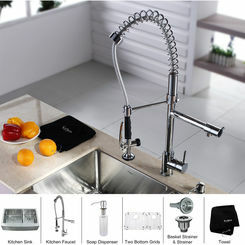 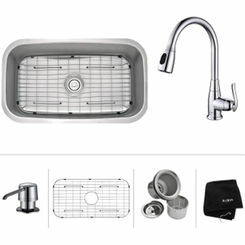 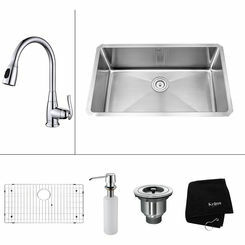 When you're gutting your kitchen, it might be easiest to go with a complete kitchen sink and faucet kit. 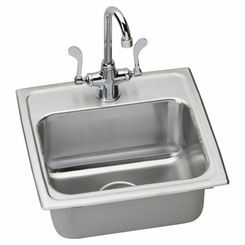 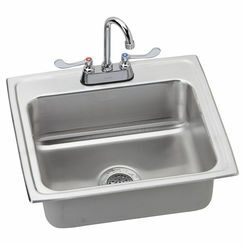 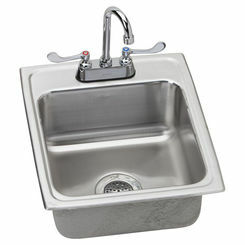 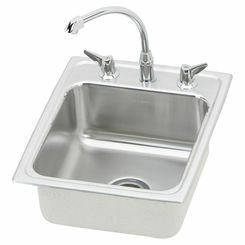 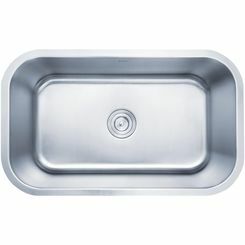 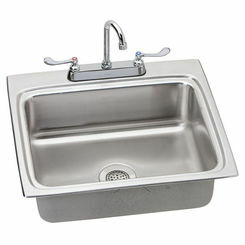 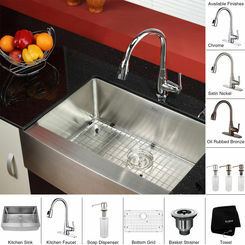 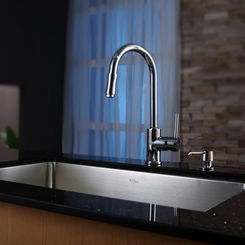 We have some of your favorite brands and you can get a stainless steel sink, or a more fancy option, right here at PlumbersStock. 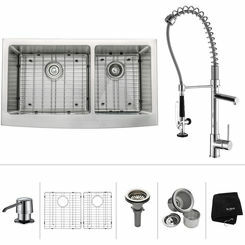 Landlords love this solution because it's affordable and convenient.  If you want to buy in bulk, don't hesitate to contact us. 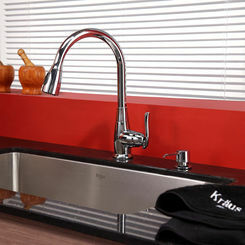 We love working with business owners and contractors.